Gov. Susana Martinez does not agree with the "individual mandate" portion of the Affordable Care Act, but there's certain aspects of Obamacare she does like. In case you've been in an isolation tank all day, the Supreme Court this morning upheld the law. 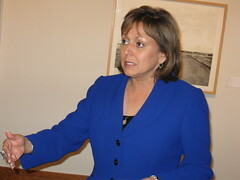 Martinez was asked today whether she agreed with Republican presidential candidate Mitt Romney that the law should be completely repealed. "You know, what I think is important is that we provide a system that is, um, available to those that are most in need. Making sure that we have, are not forcing families to buy something, that they can’t afford. But, by the same token, I think there are parts of it, for example, you know being allowed to have your child, um, until they are 26, insure them. They are going to college, etc., I think that’s a good thing. I think the pre-existing conditions, you know, we want to make sure that were taking care of people. So, I want to make sure that, is it in its entirety, or are there parts of it that we can keep, to make sure that we’re taking care of that very needy population." There's been a lot of headlines about Missouri Sen. Claire McCaskill skipping the Democratic National Convention this year. She's in a tight re-election race and the conventional wisdom is that she wants to avoid being tied to the Obama administration, which apparently isn't that popular in Missouri. But McCaskill isn't the only U.S. Senate candidate skipping her party's national convention. Here in New Mexico, Republican Heather Wilson will be staying here in New Mexico during the GOP's national shindig in Tampa in August. "Wilson spokesman Chris Sanchez said that the former congresswoman does not plan to attend the convention in August and will be campaigning in New Mexico at the time," the National Journal reported yesterday. Simply put: Not going to the convention won’t save McCaskill from having to defend herself against attacks that she was a major Obama backer. The same goes for Wilson and former Hawaii governor Linda Lingle, who is running for Senate and will have to find ways to get separation from their national party, even though they won’t be at the Republican National Convention. Having to answer for your party — in any and all of these cases — is far from a political death sentence. After all, there is a Republican senator from Massachusetts and a Democratic senator from Alaska. People can be convinced that you are your own person — particularly in these high-profile Senate races. But simply skipping the convention won’t make the problem go away. On the first day I returned to work after recovering from my hip surgery I went up to an interim meeting of the Senate Rules Committee. Nothing exciting happened there. Most of the meeting consisted of hearing Gov. Susana Martinez's nominees for state Parole Board. None of these were controversial. The committee gave all nominees unanimous positive recommendations. To be truthful, it was pretty boring. But that 's only because I didn't know then what was going on the background. 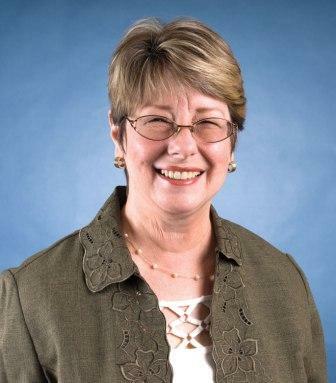 One of the board members who was confirmed that week was Mary Thompson, a Santa Fe counselor and former forensic evaluator who had been on the board since 2005. Gov. 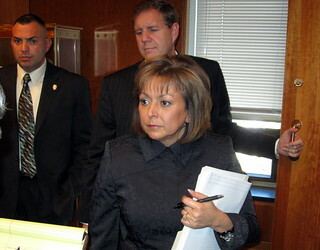 Martinez had nominated her for a second term. What I didn't realize at the time was that Thompson was in an extremely bitter dispute with board chairwoman Sandy Deitz. About a week after the Rules Committee hearing, Thompson wrote Deitz a blistering letter that revealed not only a serious personality conflict, but a deep philosophical disagreement over one particular issue. There's only about 10 "lifer" inmates have become eligible for parole hearings since 2010. Of those, only one was granted parole -- and that inmate already is back in prison. Even though such inmates have a right to a parole hearing after 30 years, there's no guarantee they'll get such a hearing. Thompson accused Dietz of having a blanket policy of rejecting all parole requests from lifers. Dietz agreed that she's opposed all the requests that have come so far, but denied Thompson's charge that she was improperly manipulating the system to be sure all requests are denied. Martinez removed Thompson from the board one day after Thompson sent the letter. The governor also fired longtime Parole Board executive director Ella Frank, who had the job for eight years. Former state Sen. Joe Carraro wants to return to the Roundhouse. Carraro announced in a news release today that he's submitting petition signatures to run for the District 10 Senate seat in Albuquerque, currently held by Sen. John Ryan. Carraro is a former Republican who changed his registration to "Declined to State" after an unsuccessful Congressional primary in 2008. "I registered as an Independent because I have always represented the people rather than ideologies or political parties, since they have their own interests," he said in his news release. "Over the years I have been able to work with both sides of the aisle to accomplish worthwhile projects and legislation for the State and my district," he said. "As an Independent member of the Senate I hope to provide less acrimony and more communication and Ideas. We owe it to those who elect us, to communicate with each other to provide opportunities for them so they can live a better life." Carraro, an Albuquerque business man, won his first term in the Senate in the mid 80s. He left at the end of 1988, but came back in 1993, serving until the end of 2008. His old district was District 23, now represented by Sen. Sander Rue, R-Albuquerque. UPDATE 6-27-12 6:10 p.m.: Carraro just told me that his residence -- as well as a huge chunk of his old district -- was put into District 10 in the redistricting process. He says District 10 contains about 90 percent of his old district and about 10 percent of the district Ryan currently represents. I'm not sure how exact that is, but if it's anywhere close. that could be a boost to his candidacy. Gov. Susana Martinez isn’t the first New Mexico politician to cause controversy by using private email accounts to communicate about public policy. 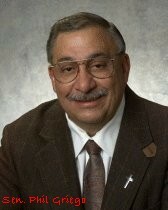 Three years ago in Las Vegas, N.M., the late former Mayor Tony Marquez was in a similar, if not identical situation. In early 2009, the Las Vegas Optic was trying to receive email messages between Marquez and City Council members. The newspaper filed a a formal public records request. However, City Attorney Carlos Quiñones believed the city had no obligation to release those emails, because they all were on the personal accounts of the mayor and council members. So the city responded to the Optic’s request saying it couldn’t locate any of those emails on the city’s email server. At some point, according to an Associated Press story, the paper received — through some unofficial channel — copies of about 20 emails between the mayor and his councilors, all on private accounts. Many of those had been copied to the city attorney. The Optic complained to the Attorney General’s Office. Apparently this advice didn’t immediately settle the issue. According to The Associated Press, Quiñones wrote back to Lowe saying Mayor Marquez would voluntarily give up the emails from his private account. But he still argued, “There is no specific legal authority in New Mexico providing for the inspection of private email accounts of government officials.” He contended the Legislature would have to amend the law to specify that personal emails are subject to the Inspection of Public Records Act. Finally in September, the city handed over more than 100 pages of emails to the Optic. But that wasn’t the end of it. In March 2010, the Optic complained to the attorney general that the city had violated the Open Meetings Act — which forbids public business being discussed by a quorum of the governing body outside of a public meeting. But the funniest thing to come out of the Las Vegas situation was a headline in the Optic in October 2009 after the paper uncovered a memo from Quiñones to various city officials. Apparently the city attorney was still steamed about that initial batch of private emails between the mayor and the councilors that the Optic got its hands on. Giving those emails to the press was a breach of confidentiality, Quiñones claimed. The Progress Now New Mexico organization -- a left-leaning group that has been critical of Gov. Susana Martinez -- has uncovered a couple of more Martinez cabinet secretaries communicating about government business on personal emails. The other is Cultural Affairs Secretary Veronica Gonzales, who used her Comcast account to send messages to Cangiolosi and others about a government contract in May 2011. Progress Now New Mexico obtained these emails through a public records request. But their website says this was possible in both situations only because other government employees included in the communications used their official government emails. Here's the webpost by Progress Now New Mexico. "I May Have Had My Last Race ..."
This probably won't come as a shock to many of you gentle readers, but former Gov. 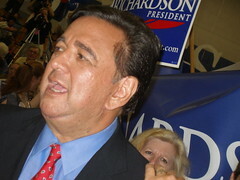 Bill Richardson said on national TV over the weekend that it's not likely he'll ever run for office again. Fox News' Juan Williams asked the question in an interview with Richardson on Fox News Latino. Richardson said, "I am now a member of the private sector. I’m happy. I've got a little foundation. You never say never, but I may have had my last race and that was the Presidential race. I think that you only get one shot." Might there be other serious Hispanic candidates in the future? "Well, Juan, I think they’re up and coming right now," Richardson replied, "They may be two, three elections away. The mayor of San Antonio, I think the mayor of Los Angeles has that potential. There’re some Republicans that may be candidates. The governor of Nevada, possibly Senator Rubio. I don’t know much about him, I’m intrigued by him." After a week of criticism following the disclosure that Gov. Susana Martinez and top officials in her administration used personal emails to conduct state business, Martinez this afternoon said all state employees in agencies under her authority should use official state email for state business. "Today, I am directing all state employees under the governor's authority to utilize official state email when conducting state business via email. This includes discussions preliminary in nature to final decisions or actions that have occasionally been sent via personal email because they are not required to be maintained under state law. There is no state law that requires this to be done, but utilizing only state email to conduct state business in connection with public employees' duties is another important step to ensure continued confidence in government." "This directive goes beyond what has been required or practiced in the past in New Mexico, and it exceeds what is practiced in most other states. In addition, given that numerous other public officials, including legislators, discuss public matters on personal email addresses, I am urging the Legislature, other executive branch agencies, and local governments and municipalities to also adopt a similar policy that requires official email to be used when conducting state business and retained according to state regulations. Furthermore, we would be pleased to work with interested parties to ensure that our records statutes and regulations are coherent, strong, practical, and consistent across government." Martinez met with the board of New Mexico Foundation for Open Government on Saturday. Last week, in response to my questions about a several emails showing the administration was using personal email accounts to communicate about routine business, spokesman Scott Darnell said, "the types of communications in personal email accounts fall into categories that are not required to be maintained -- preliminary in nature, do not reflect final action, etc. Final agency action is conducted through official state email or other correspondence and maintained." UPDATE: 11:45 p.m. Several hours before Gov. Martinez issued her news release about her new email policy, I obtained a sworn affidavit from Martinez's former Corrections Secretary, Lupe Martinez. The document describes a cabinet meeting last year in which the governor's chief of staff Keith Gardner told those present "to, whenever possible, use our private emails when communicating, because by doing such would prevent them from being discovered through public records requests." Martinez's spokesman Scott Darnell responded,"Her statement is simply false, and she knows it." Just when you thought the primary truly was over, here comes a little reminder that some political wounds take time to heal. Two progressive-leaning Albuquerque groups that earlier this year sent a mailer blasting state Sen. Phil Griego, D-San José, are demanding an apology from the senator — who won his bitterly contested primary this month — over an advertisement that ran in an Albuquerque paper. One small problem with that: Holguin wasn’t paid, secretly or otherwise, by any of the four groups Griego listed. “I was entirely paid by the Sullivan campaign for the management services I provided,” Holguin said Thursday. Benavidez’s group and the Southwest Organizing Project, in a news release last week, sent letters to the senator as well as the Journal North demanding apologies. They want Griego’s apology to be in the form of an ad at least as big as the one that ran two days before the primary. They want a half-page ad in the Journal North. Both letters say the groups may seek legal action if the ads aren’t run. Griego couldn’t be reached for comment. Griego’s ad correctly says that these organizations don’t disclose their contributors. Personally, as I’ve opined in the past, I believe that’s a bad thing. When any group, no matter what its tax status, sends out a mailer attacking someone running for office in an election, I believe the public should be able to know who’s buying the stamps. Unfortunately, federal courts disagree. Even before the infamous Citizens United case, the very same groups demanding an apology from Griego were vindicated in court by federal judges who ruled that their election-year mailers aimed at certain legislators were not “political” and the groups did not have to disclose their donors. As much as I’d like to pile on a competitor, when I read that I tried to imagine the ad department in any paper fact-checking all the ads that come in. I’ve never met an ad department fact-checker in any of the three papers I’ve worked for (including Journal North). So I asked New Mexican Publisher Ginny Sohn, who used to run our ad department. “If we see or notice something we believe is wrong, we’ll go back to the candidate and say, you need to rethink this,” Sohn said. But the candidate, not the paper, is responsible for the content — which, she said is why the paper requires ads to include the name and some kind of address or website of the candidate or organization buying them. So here’s a tip for you the voter: Be very, very skeptical of any political advertising, print, TV or Internet, from any candidate of any stripe. The New Mexican will be monitoring political ads (TV, print and radio) and checking for accuracy during the upcoming campaign. But that’s a reporter’s job not an ad rep’s. Sorry President Obama and Gov. Martinez. But when you weren't looking, Kenneth Gomez of Farmington took your jobs. Gomez, who was an official write-in candidate for governor in 2010, has filed a document with the San Juan County Clerk declaring himself such. His reason: There's been "active insurgency against the Constitution of the United States of America and the Constitution of the State of New Mexico." He says he will free all prison inmates, end abortions and nullify any laws that have passed since the "impostors" -- Obama and Martinez I suppose -- took office. Read the entire proclamation below. I'm sure that Obama and Martinez will do their best to ensure a smooth transition. More emails from various members of Gov. Susana Martinez’s administration conducting state business and sent to officials via personal, non-government email accounts — including one email from the governor herself — emerged on Thursday. The emails all come from the case file of a wrongful termination case being handled by Albuquerque lawyer Sam Bregman, a prominent Democrat. The emails mostly deal with Corrections Department business in August 2011. Most of the administration officials, including the governor, sent or received messages on their SusanaPAC.com accounts. Susana PAC is Martinez’s political action committee. Martinez’s spokesman, Scott Darnell, said Thursday that “the types of communications in personal email accounts fall into categories that are not required to be maintained — preliminary in nature, do not reflect final action, etc. Final agency action is conducted through official state email or other correspondence and maintained. “As you know, we send and receive hundreds of emails out of the Governor’s Office every day and have produced thousands of pages of emails in response to [Inspection of Public Records Act] requests about the actions taken by the administration,” Darnell said. Gwyneth Doland, executive director of the New Mexico Foundation for Open Government, said Thursday, “I am horrified to think that it may be the practice of the state of New Mexico to conduct public business in secret using email accounts that no records custodian could access. Earlier this week, an email from the personal account of a Public Education Department spokesman in response to a public information request by Martinez’s political director, Jay McCleskey, was made public. That message also was sent to other administration officials at their non-government accounts. The message from the governor is dated Aug. 14, 2011, and had the subject line “Mansfield Escapee.” It was sent to her chief of staff, Keith Gardner; deputy chief of staff, Ryan Cangiolosi; Darnell; operations director, Alexia Darnell; Duffy Rodriguez, who is deputy secretary of the Department of Finance & Administration (all on SusanaPAC.com addresses); and to McCleskey. Cangiolosi forwarded it the next day to former Corrections Secretary Lupe Martinez and to Gardner, again from and to non-government emails. David Mansfield, an inmate at the state prison in Los Lunas, had escaped from a prison farm Aug. 13. He was captured the next day. Why was McCleskey included in the email? “It’s likely due to the fact that he is an adviser to the governor, and like many governors, she seeks broad input on situations,” said Scott Darnell. There’s also a lengthy email dated Aug. 10, 2011, from Janel Causey, director of policy administration on her SusanaPAC.com account to former Corrections Secretary Lupe Martinez and Tax & Revenue Secretary Demesia Padilla (on their private accounts). It was copied to Cangiolosi and another person (whose identity can’t be determined from his or her Gmail address). In this message, Causey wanted to know about prison inmates who have no Social Security numbers but do have driver’s licenses. It appears she is gathering information about the issue of driver’s licenses being issued to noncitizens. The email lists the convictions for these inmates. However, some of the initial information Causey received from the agencies didn’t pan out. “We have now gone to the governor with incorrect information … We need to get this cleared up right away,” she wrote. Another email is dated Aug. 16, 2011, from Cangiolosi’s assistant, Tiffany Smyth, from her personal account to the former Corrections secretary at her personal account. Smyth said Gov. Martinez wanted to see lists of warden candidates before they are hired. “We would like to do a bit of vetting on our end before the hiring has taken place,” Smyth wrote. What makes it interesting to me is that the email was sent on a private email account by the Ed Department spokesman, Larry Behrens. And it was sent not only to political consultant Jay McCleskey, but to state officials, including Gov. Martinez's chief of staff and spokesman -- also on private e-mail accounts. Then Education Secretary designate Hanna Skandera, who received a copy on her personal account, forwarded it to Martinez on a non-government account. Both Behrens and McCleskey say this was just a routine request for public information. McCleskey said many political organizations of all persuasions makes such requests of state agencies all the time -- including the liberal Independent Source PAC, which obtained Behrens' email in the first place. That's true. Reporters do too. But more than once I've had records requests denied by the records custodian of the particular agency on the basis that the agency does not maintain a list like the one I was seeking. The standard line is that the agency is not required to compile such a list for me. Behrens said it was an "oversite" on his part to use his personal account for the records request. But that doesn't explain why he used non-government accounts for those officials included in the message. When I saw the news release about a new TV spot from Republican U.S. Senate nominee Heather Wilson’s campaign, my first thought was, “Here it is. It’s starting already.” My assumption was that, just like the governor’s race two years ago, attack-ad season would be starting early again. I’m almost expecting her Democratic rival Martin Heinrich to come back with an ad saying he loves America too and has loved it ever since his teenage years sacking groceries. Then I learned that Karl Rove’s super-PAC, American Crossroads — a sister organization to Crossroads GPS, on whose board Wilson once sat — was buying ad time in New Mexico in support of Wilson. Politico reported that the PAC is spending more than $250,000 in the Albuquerque and El Paso markets. Wait, a minute ... since when did Karl Rove like Republicans bucking the party line? Boy, if there’s one thing that a political junkie hates worse than negative ads, it’s positive ads. A couple of things probably are going on with the pro-Wilson ads. Neither of them mentions her political affiliation. These obviously are targeted to independent voters and Democrats who might be on the fence. But don’t think the mudslinging isn’t going to come in this high-profile Senate race. In fact, another conservative PAC, right after the primary, launched a $100,000 ad campaign targeting Heinrich. The 30-second ad features the pensive piano music, pictures of shut-down factories, a sad-looking girl in a dress shop and Heinrich being sworn in by (gasp!) Nancy Pelosi. And pro-Heinrich PACs aren’t sitting out this race. A coalition of five national environmental organizations is about to launch a television ad campaign in this state, running ads for nearly two months starting this week. “One source pegged the cost of the flight at just over $850,000. Another suggested it could climb closer to a $1 million when all the buying is done,” Politico reported. I haven’t seen the ads, so I can’t say for certain what tone they’ll be taking. Maybe they’ll just show Heinrich camping with his wife and kids and talk about how he loves the great outdoors and wants to protect it and working families. But if I had to bet, I’d probably go with grainy photos of Wilson with grim smokestacks in the background and horror-movie music. I’ll also bet that by October, not even the most jaded political junkie will be complaining about a lack of attack ads. When most political junkies here in New Mexico was busy with the primary last night, former Gov. Gary Johnson appeared on the Daily Show to promote his Libertarian Party presidential candidacy. It looks like Reform New Mexico Now got better results than the other political action committee located at 6100 Uptown Blvd. NE; Suite 590, Susana PAC -- meaning Republican Gov. Susana Martinez might have had more influence in the Democratic primaries than in the GOP contests she got involved in. “We are encouraged that New Mexicans stood with Democratic candidates who are willing to work across the aisle,” McCleskey told The Associated Press. But he apparently doesn't feel that way about Republicans who do the same. In Martinez's effort to choose the GOP candidate to replace retiring Sen. Clint Harden of Clovis. she backed Angie Spears, who lost to rancher Pat Woods. Spears hired McCleskey and went intensely negative on Wood -- largely for contributing money to Democrats who had helped him on agricultural issues. Wood responded by making McCleskey an issue in the campaign urging east-side Republicans to reject "mudslinging" by a "slick Albuquerque consultant." Though there might be a couple of awkward moments between Woods and Martinez, he's likely to be a reliable vote on most issues. He's taken conservative positions on virtually all the issues and last night in a radio interview, Woods predicted he and Martinez will get along fine once she gets to know him. However, despite complaints by the targets of its ads and robo-calls, Reform New Mexico Now had a much better scorecard Tuesday night, most notably in Carl Trujillo's victory over Santa Fe Mayor David Coss. Coss' campaign blamed the PAC's involvement for the loss, though Trujillo told me he thinks the unsolicited aid of Reform New Mexico Now and the conservative New Mexico Business Coalition could have caused a Democratic backlash that took away from his vote total. Reform New Mexico Now, which largely was funded by to Artesia oil companies that are major Martinez contributors also backed incumbent Sens. Phil Griego, Pete Campos, John Arthur Smith and George Munoz, as well as maverick Democratic Rep. Sandra Jeff -- all of whom won. It's not certain how big of a role the PAC had in these victories. The PAC also attacked Rep. Eleanor Chavez of Albuquerque, who gave up her House seat to run for Senate. Chavez lost to Michael Padilla in that primary. Not all of the PAC's choices won however.came in a distant third in his Democratic primary. 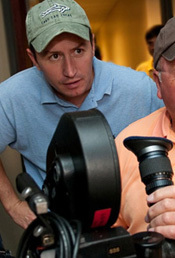 Billy Moore lost to incumbent Rep. Eliseo Alcon of Milan. Two incumbent senators and two representatives who lost, or are trailing after yesterday's voting. Rep. Richard Vigil, D-Las Vegas, lost to Tomas Salazar in a race that had received little attention outside of San Miguel County. Sen. David Ulibarri, D-Grants came in a distant third in his primary. 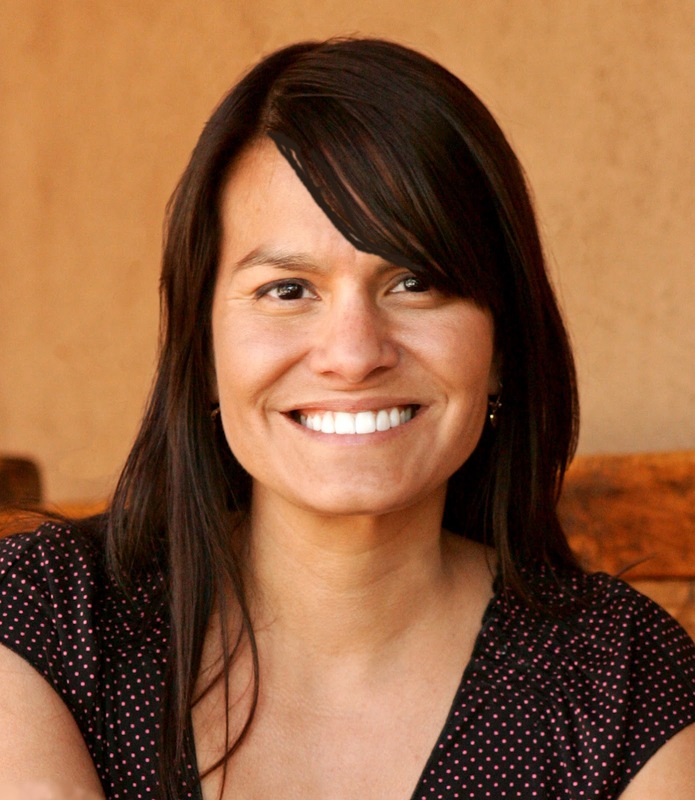 Sen. Lynda Lovejoy is behind former Indian Affairs Department Secretary Benny Shendo of Jemez Pueblo. Down in Las Cruces, Rep. Antonio Luján trailing by 41 votes behind former Rep. Jeff Steinborn, while Rep. Dennis Kintigh of Roswell lost to his friend Rep. Bob Wooley in the Republican primary. The two incumbents were pitted against each other because of redistricting. Though Steinborn is ahead of Lujan (and either will have to face Republican Charlie Green in November), other would-be political comebacks were thwarted last night. Two lawmakers who tried to go on to other offices failed last night. These were Eric Griego, who lost to Mcihelle Lujan Grisham in the CD 1 Democratic congressional race and Rep. Al Park, D-Albuquerque who lost his Public Regulation Commission race. UPDATE 11:24 am. The first version of this post left out Sen. George Munoz as a Democratic candidate backed by Reform New Mexico Now. UPDATE 2:45 pm Earlier versions of this post incorrectly indicated that Reform New Mexico Now backed Sen. David Ulibarri in his primary. And while the PAC did slam Eleanor Chavez in her race, it did not back James Taylor as originally stated. The text has been modified to fix those errors. Looks like Rio Arriba County politics is living up to its reputation. KOB News producer Peter St. Cyr disguised himself as a street person in Espanola last week and got offered a ride to an early-voting center. He asked for a drink and got offered a miniature of Admiral whiskey. He also got instructions who to vote for -- state Senate challenger Alfredo Montoya -- who is running against incumbent Sen. Richard Martinez -- as well as incumbent County Clerk Moises Morales and county treasurer candidate Elias Coriz. St. Cyr was told he could have more whiskey after he voted. It's all captured on a hidden camera. The whole story is HERE. Watch below and don't miss the great confrontation between reporter Gadi Schwartz and political operative Elias Fresquez. Some incumbent lawmakers might not be coming back after today's primary vote. But one incumbent, Sen. Tim Eichenberg, D-Albuquerque, who was facing no primary opposition, took himself out of the running before any ballots were cast today. He's not seeking re-election because of his three older brothers are ailing. One has cancer and one recently suffered a heart attack, Eichenberg said. Also, he said, his 87-year-old mother requires care. Eichenberg says he knows of four who are interested in the job -- lawyer Daniel Ivey Soto, a past state elections director and lobbyist for the state county clerks association; lobbyist and former Democratic Party executive director Vanessa Alarid; and two political newcomers, Kevin Hooper and Scott Lefevre. Whoever gets the nomination will face Republican Diane Snyder in the general election. 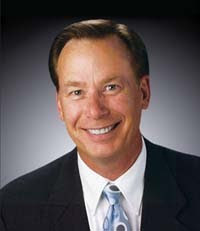 Snyder is a former senator who Eichenberg defeated in 2008. Eichenberg said that his major accomplishments in the Senate include passing the Government Conduct Act. He also chaired a legislative task force that recommended many proposals to consolidate government agencies -- though he said one of his biggest disappointments was the fact that none of those proposals ever got traction in the Legislature. Eichenberg joins a long line of incumbent senators who decided not to seek re-election this year. Others are Democrats Dede Feldman, Eric Griego, and Bernadette Sanchez, all of Albuquerque plus Cynthia Nava and Steve Fischmann, both of Las Cruces. Departing Senate Republicans are Clint Harden of Clovis, Vern Asbill of Carlsbad, Mark Boitano of Albuquerque and Rod Adair of Roswell. That's a total of 10 out of 42 senators. Note: The bulk of this column was written before news broke about the Reform New Mexico Now PAC, which is associated with Gov. Susana Martinez's political operation. Before this is over you're going to need a program to keep up with all the independent expenditure groups. The House District 46 race has turned into an increasingly nasty spitball fight between Santa Fe Mayor David Coss and his supporters, and self-styled outsider Carl Trujillo and his supporters. While each side has relentlessly ripped on the other, one of the more curious attacks has come from an outside force — a right-wing group from Albuquerque. The New Mexico Business Coalition doesn’t think very highly of Coss. But, as I reported Thursday, they think about him enough to send out mailers to voters in Santa Fe lambasting Coss’ performance as mayor. “Call Mayor Coss and tell him Santa Fe deserves better. He should return contributions from questionable sources, focus on jobs, reduce crime, and forget about a second job as a state representative,” the mailer says. It makes me wonder why a conservative, anti-tax, anti-regulation group would be so interested in a Democratic primary in a district that’s so heavily Democrat (71 percent Democrat to 18 percent Republican) that the GOP didn’t even field a candidate for the seat being vacated by House Speaker Ben Luján. OK, they say they’re nonpartisan. Even though the coalition’s principal officer currently is a member of the state Republican Central Committee, I can’t call this a “Republican” attack on Coss. On Friday, the coalition’s principal officer, Carla Sonntag, defended keeping contributors secret. She said much of the cost of the mailings comes from membership dues, so, in effect, each member could be considered a contributor. She argued that the mailings are just a fraction of the group’s total budget. She also argued that when unions make contributions to candidates, they don’t have to list individual union members. Sonntag is also the director of New Mexico Utility Shareholders Alliance and has written op-eds for papers, including this one, in support of energy companies. District 46 isn’t the only Democratic primary in which the coalition is getting involved. A news release Friday pointed to several. The group heaped praise on incumbent Sen. Phil Griego of San José as well as Sen. Richard Martinez of Española. Sonntag said the coalition sent out mailers in Martinez’s District 5 race, but not in Griego’s District 39. The group’s news release also sang the praises of Coss’ opponent, Trujillo. As I reported last week, Trujillo also was the target of an attack by a group hiding behind anonymity. Something called the Concerned Citizens for an Honest Debate bought $440 worth of radio ads on KSWV sliming Trujillo. The concerned citizens don’t have to report contributors because expenses were under $500. Later, a mailer surfaced attacking Trujillo, and it’s also not clear who sent that. In a way, these anonymous attacks might just be big chickens coming home to roost. Back in 2008, progressive nonprofits in Albuquerque came under criticism from conservatives for sending out “voter education mailers” highly critical of certain incumbents — mostly conservative Democrats — before the primary. In this post-Citizens United world, I’m afraid this is the way of the future. Santa Fe Mayor David Coss, running as a Democrat for a House seat in District 46, is asking the Secretary of State's Office to investigate a political action committee associated with Republican Gov. Susana Martinez's political operation. Reform New Mexico Now -- which is funded primarily by two oil companies who have been some of Martinez's major contributors, and which uses the same address as Martinez's political director Jay McCleskey -- last week sent mailers in support of Coss' Democratic primary opponent Carl Trujillo. On Saturday the PAC filed an amended report that changed the dates of the two major contributions to May 21 and 24. "I believe that serious violations of the Campaign Reporting Act have occurred and request an immediate, formal investigation. I look forward to your timely response to this request," Coss wrote. I just sent an email to McCleskey asking for comment. I'll update this post when he responds. 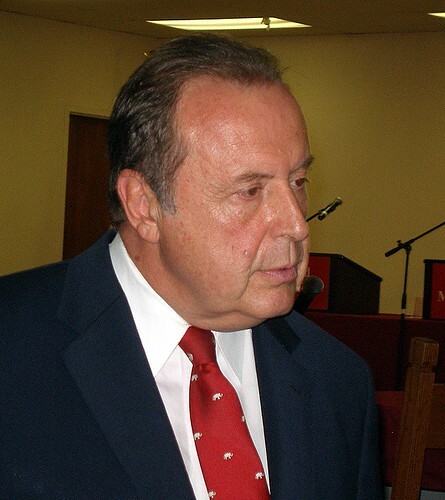 Meanwhile, Trujillo issued a news release Sunday in which he reiterated that he has nothing to do with the recent mailings sent by Reform New Mexico Now and the New Mexico Business Coalition.
" ... sometimes we get support from organizations who may have agendas that are likely to be at odds with our interests. And sometimes they may do things on their own, without our knowledge or our consent -- whether it's putting up a sign, sending out emails, making a financial contribution or something bigger. "This week, we had a few interesting examples. Organizations that have independently done things without any involvement from us. For example, two organizations sent out mailers that were negative to our opponent. We had nothing to do with them, but there’s nothing we can do to stop them. "Unfortunately, the opposition has been using slimy tactics to insinuate that we are somehow connected to these organizations and that’s proof that we have some kind of secret evil agenda." Trujillo said while he's on record as being willing to work with those of opposing political views, "This does not mean that I don’t have strong views on vital issues which are often in opposition to these big special interests." Reform New Mexico Now is in complete compliance with the law and, unlike other groups involved in these elections, we disclose all of our contributions and expenditures. There was a typo in the initial report filed with the Secretary of State by listing all contributions as 4/24/12. We quickly notified the Secretary of State when the report appeared with that erroneous information. We were instructed on how to file an amended report and did so. The Secretary of State's office has informed us that we are in total compliance with the law. This frivolous complaint by David Coss is a desperate attempt to distract attention away from the main issue in this race, which is whether Mr. Coss should be able to simultaneously serve as mayor and as state representative. UPDATE: 6-4-12 12:38 am Jack Sullivan, who is challenging incumbent state Sen. Phil Griego in the District 39 Democratic primary, also has requested the SOS investigate Reform New Mexico Now. Apparently the PAC has sent mailers in that race as well. I haven't seen any of those yet. I mentioned in my story on campaign finances today that a PAC called Reform New Mexico Now, funded mostly by large backers of Republican Gov. Susana Martinez, has sent mailers praising House District 46 candidate Carl Trujillo as a future leader in education reform. According to documents filed with the Secretary of State's Office, the group's major contributors are two Artesia oil companies that have been major backers of Gov. Susana Martinez. Chase Oil contributed $130,000 to the group, while Mack Energy gave $50,000. Reform New Mexico Now has become involved in several Democratic legislative primaries around the state, mostly helping conservative Democratic incumbents. Heath Hausamen has a good story about the other races Reform New Mexico has become involved with HERE. Earlier this week, I wrote a story for The New Mexican about how low the turnout has been for early voting in the primaries in Santa Fe County. As of Tuesday, only about 4.5 percent of Democrats and 3.5 percent of Republicans in this county had voted early or absentee. But yesterday, county Elections Bureau director Denise Lamb emailed me that the day after the article appeared, turnout at the polling place at the County Fairgrounds nearly doubled, while the early-voting places in Eldorado and Pojoaque showed healthy increases also. Lamb said poll workers at the fairgrounds reported that several people who voted there said my story was what sparked them to vote. Of the 17,085 people registered as "declined to state" (independent) voters and the 2,155 registered as members of other parties, exactly zero have voted early. That's because they aren't allowed to vote in the primaries, even though primary elections are paid for with tax money. Independents and third-party members make up 20 percent of Santa Fe County's registered voters.